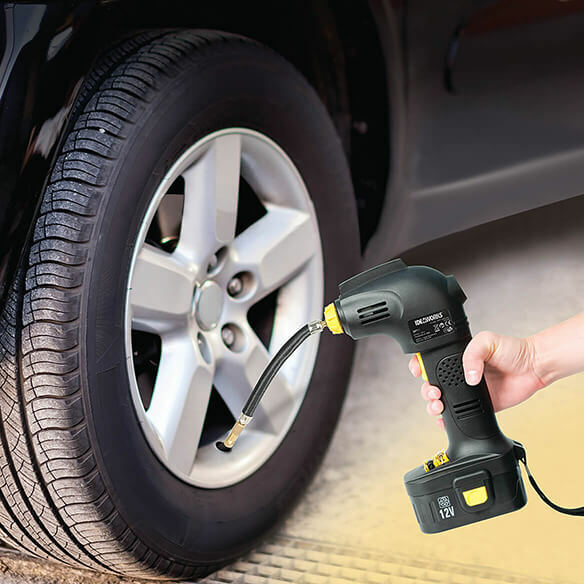 Pump up a flat tire on the road, soccer ball at the game or air bed in the guest room ... all with the simple press of a button! 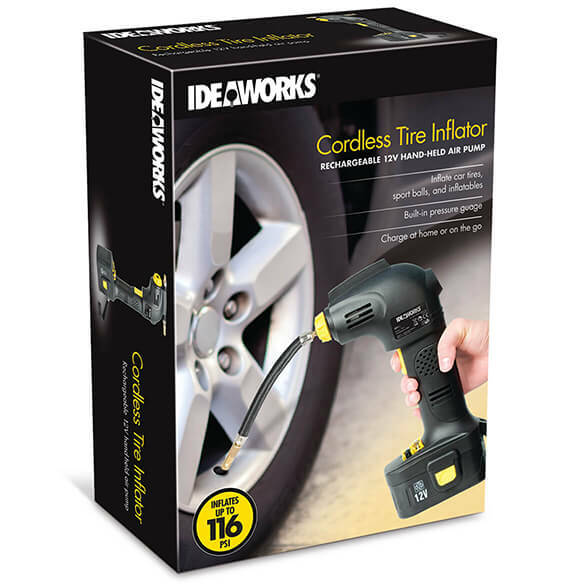 This portable, rechargeable cordless tire inflator is powered by a 12V rechargeable battery, providing 116 PSI for rapid inflation. 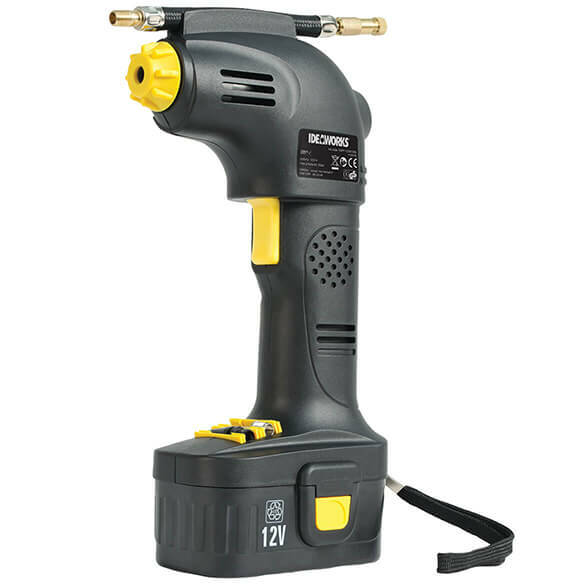 Built-in gauge lets you track air pressure while inflating; flexible air hose adapter allows easy attaching to valve. 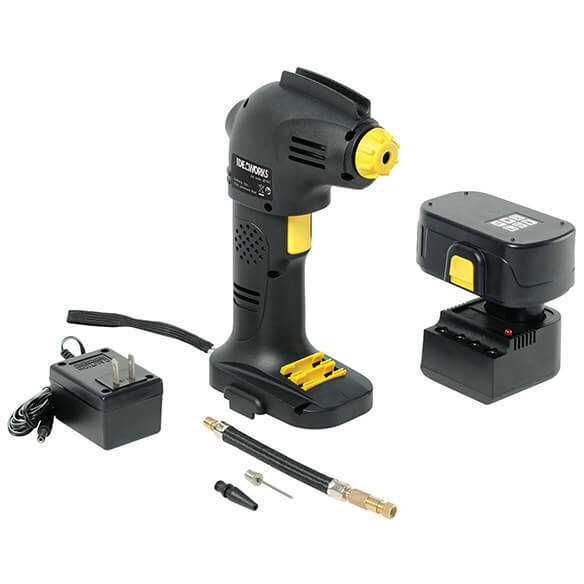 Charge this portable compressor at home or on the go; the versatile, cordless inflator includes wall charger and 12V auto charger. Durable plastic housing. Tire air pump measures 7 1/4"L x 10 1/4"W x 3 1/4"H.
the price was great.,got one for each car. 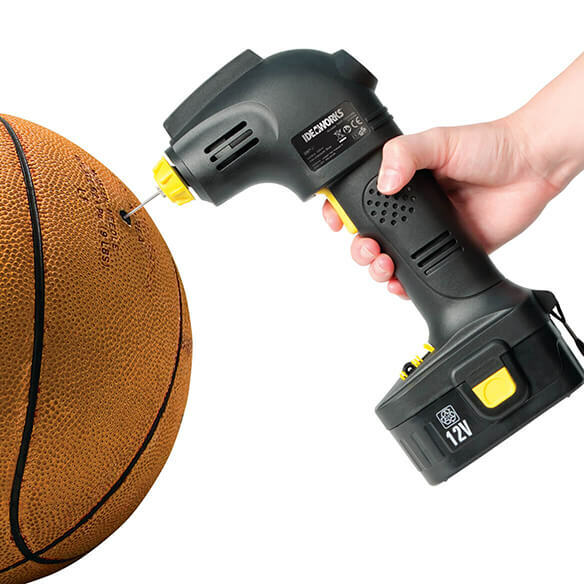 For safety never can find a air pump. This is an item I have wanted for some time and the price was lower then seen it advertised on other sites. I thought this might come in handy in an emergency.